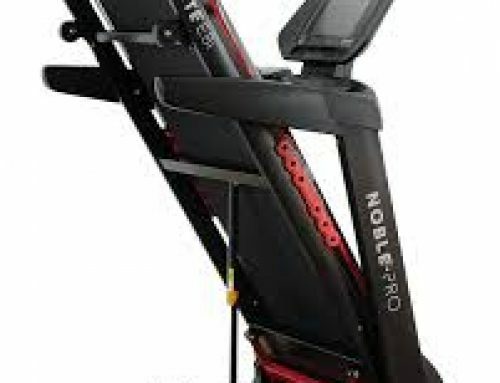 The F4H Motorised Folding Treadmill is the ultimate treadmill for those of you looking for encouragement to keep active and fit, looks stylish and a design that is truly unique. With its bright yellow features and useful additions, it’s easy to see why it’s a favorite with customers. This treadmill is foldable, meaning easier storage and when it is in use, the F4H can be locked into position safely with a locking nut. This ensures that when you’re training, the treadmill is secure to use. It’s also worth mentioning that the treadmill has wheels on the bottom, meaning it can be moved easily to a different location if needed. The frame of the F4H is made from solid, sturdy steel, which allows users to use this product with confidence and that it will last a long time. It’s a very well-made product. The fitness benefits include pulse sensors that can measure your heart rate whilst training. These are located on the handles of the F4H so that the pulse rate feature doesn’t have an impact on your training. As well as providing a live reading, you can even adjust the speed of the treadmill by the handles which ranges from 0.8KM/H and 12.8KM/H. The running surface is wider than average, measuring 1000mm x 340mm and is fully motorized. There is a display screen which allows the user to easily read the information and readings during a workout. With a range of built-in programmes and an option to pre-set your speed on the treadmill, you can really challenge yourself. There’s also an incline setting where users can choose from three settings, encouraging you to adjust your running and walking pace and strength. Although this incline setting is a manual feature, it really is easy to do, all that’s needed is to move the bar at the bottom of the treadmill and lock this into position. During a workout, adjusting the incline can be impractical, however, I really didn’t find this an issue. 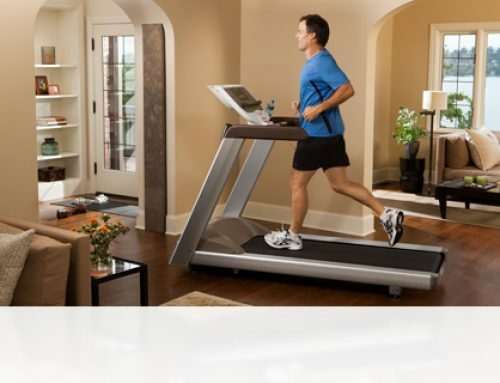 The treadmill is also very quiet, which means users can exercise at home without disruption at any time of the day. The F4H is suitable for those who are looking to increase their level of fitness as well as for those who are fit and exercise daily. When setting up the machine, it can take some time to ensure that all the parts are connected and work properly, however once completed, it’s simple to use. The product’s features also include an emergency stop button, fitness programmes to suit a range of needs, calorie burner setting, and a timer. There’s a towel holder for easy storage and the F4H even comes with a lifetime motor warranty meaning users can exercise with confidence. I would also encourage new users to take advantage of the emergency stop key feature whilst familiarising yourself with the speed and incline features of the treadmill. There are not many cons that I can really discuss with regards to this product. Whilst the instructions are unclear and the assembly is time-consuming, it’s a fantastic treadmill when completed. Although anyone can use the F4H, it’s definitely suited more to those who have no or a moderate level of fitness and looking to improve without having to go to the gym. Whilst the machine is simple in terms of the motor used, it’s ideal for home users. 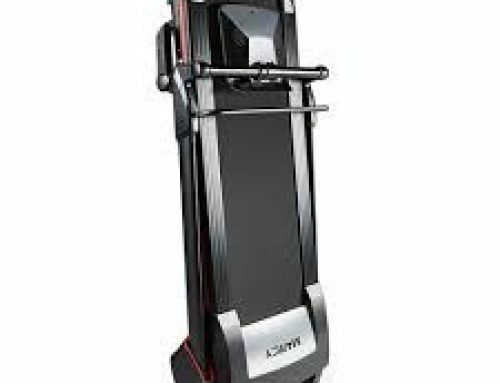 I’d even recommend that people who are in rehabilitation should consider using the F4H to start moving and walking around due to the variety in speed and incline offered. Users can certainly use this to improve strength and balance issues and to increase heart rate. The manufacturer of the F4H Motorised Folding Treadmill is Fit4home. 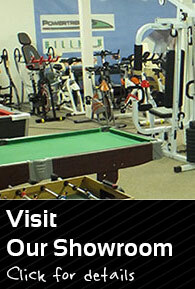 They are a fully established and trusted home exercise equipment. They are highly reputable and trusted and even provide customers with HD images of products before purchasing to ensure it’s satisfactory and suitable for the exercise users have in mind. I was also incredibly impressed with the level of customer service Fit4home provided. Friendly, knowledgeable and always willing to help, they clearly have their customers’ best interests at heart which fills me with confidence when I purchased the F4H. Affordable, convenient and truly unique design and style, the F4H Motorised Folding Treadmill is a fantastic option for those looking to get fit in the comfort of their home. Having researched the market, there is no other machine available for a similar price with all the features mentioned above – a great product and certainly one worth having.